Halloween is not just for the kiddos! 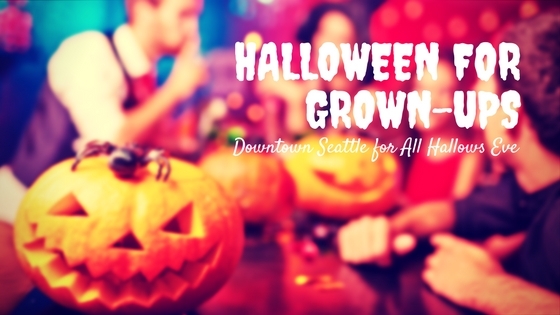 There are plenty of happens in downtown Seattle, including Belltown and Capitol Hill, to keep us grown-ups happy, and to make a Seattle Halloween a highlight of your trip. From boozy treats to chocolate sweets, we’ve got you covered! Halloween Pub Crawl 2017 is actually in its seventh year. October 21 is the day, and this is a rip-roaring good time, with a costume contest, group photos, live entertainment and NO cover at participating bars. It starts in downtown Seattle at noon, and goes 14 hours until 2am and ends in Pioneer Square. Over 500 folks participate each year and this, really, is a highlight of the Halloween season. You can join in at any time at any venue, and stop when you want. Cash for the drinks is highly recommended! Pier Pressure Titanic Masquerade: This is Seattle’s best on-the-water Halloween Party. Depart from Pier 55 for three hours of music and dancing, with two live DJs on three levels of the Spirit of Seattle yacht. Costumes are required (that’s why it’s called a Masquerade, folks) and masks are preferred. Leave the kiddies at home, this is a 21+ event with a cash bar. 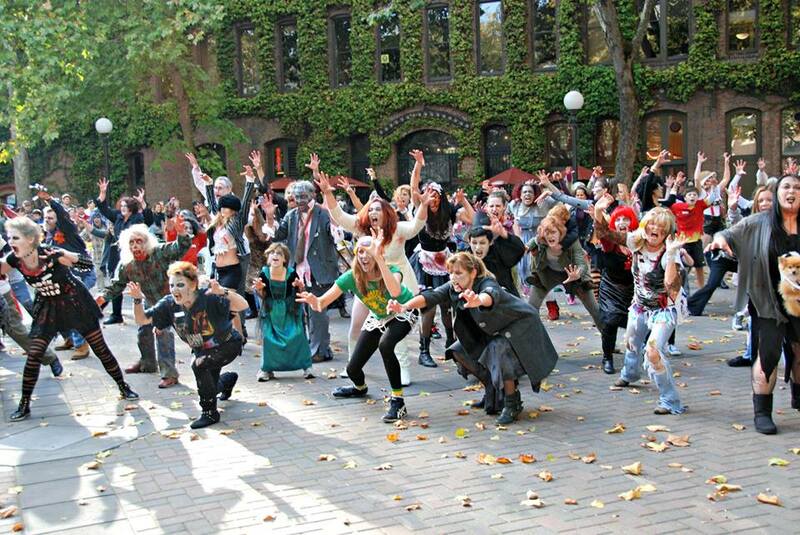 Seattle Thriller Dance: An annual worldwide simultaneous dance event also known as Thrill the Word, this is a group dance to Michael Jackson’s Thriller that will occur this year on Saturday, October 28, 2017, at 3:00 pm (on the dot) at Occidental Park in Pioneer Square. While not officially a flash mob situation, if you know the moves, you can definitely participate on the fly. As a spectator, it is great fun to see people join up as the dance progresses! See last year’s at https://www.youtube.com/watch?v=ltq_xE27bCY If you want to dance, arrive no later than 2:30pm, the dancing will start precisely at 3pm. Zombie attire preferred but not required. The Dinner Detective Murder Mystery Dinner Show is a year ’round event, but does it up special for Halloween, and this event ALWAYS sells out, so if you are interested, don’t hesitate to book. This is a four course dinner where a comedic murder mystery plays out within the guests. You don’t know who-dun-it, and the action takes place within the confines of the group. Your table mate may be a mild mannered accountant from Kirkland, or the MURDERER! This venue does have a dress code (dressy casual) so be aware. The crime will take place at the Crowne Plaza downtown Seattle. A bit further afield, but still less than 30 minutes by Uber is the Seattle Chocolates Haunted Factory Tour. Available Thursdays through Saturdays October 18-28, this is fun tour of the Seattle Chocolates Flagship facility in Tukwila. An interactive tour with puzzle elements makes this a cut above the usual factory tour, with a fun and spooky Halloween twist, and exposure to some of the best chocolate in the Seattle area. Nothing quite appeal to you, or rarin’ for more? 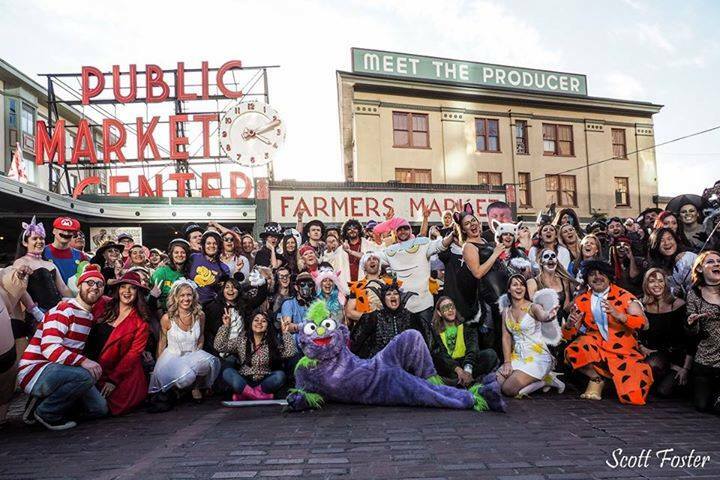 Check out even more great Seattle Halloween events at Seattle Pipeline’s Halloween page. Seattle Pipeline is my go-to for events in the area!